SABC2 is a South African television channel owned by the South African Broadcasting Corporation (SABC). SABC 2 broadcasts programming in English, Afrikaans, Venda, and Tsonga. It was created in 1996, after the SABC restructured its television channels. The reduced prominence of Afrikaans angered many speakers of the language, although the channel still features a significant amount of Afrikaans programming. The current slogan is "You Belong" and it appears on the backdrop of the four primary colours: blue, red, yellow and green. It replaced the slogan "Feel at Home". nation thorough cutting edge programming that is vibrant and entertaining. Sotho, Afrikaans, Venda, Tsonga and English speaking viewers. Reaching just over 26-million adults 15+ weekly, SABC2 is South Africa's second preferred channel. SABC2 has a very strong and appealing brand ethos "feel at home" and now "you belong". Positioned in the minds of South Africans as an "all" accommodating channel in terms of race, language and content. SABC2 caters for both middle and high end markets. SABC2's content is largely local. SABC2 is the default channel for events of national importance. 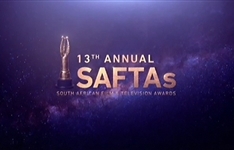 The channel aims to promote social cohesion and nation building properties, and these you find displayed on programmes such as Motswako, its flagship women's property that educates, informs and entertains through talk, as well as on our soapies, Muvhango and 7de Laan that tell our daily stories. A documentary strand has created a platform that show-cases South African history in a cinematic yet informative way through programmes such as Shoreline, A Country Imagined and Who do you think you are?. In a nutshell, SABC2 is a full spectrum television service offering a programme mix of enlightening, informative, educational and entertaining material. 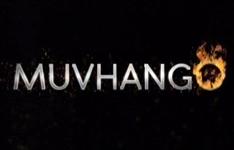 Summary: Muvhango is a South African Venda-language primetime soap opera created by Duma Ndlovu, produced by his Word of Mouth Productions company and inspired by the real-life story of the former Chief of Thate in Venda, which incorporates and reflects township and Sowetan life. Summary: Talk show addressing social challenges in modern day South Africa, going beyond raising issues to focusing on the power of self-appreciation. On Thursday night (29 May) Thandaza and Ranthumeng will marry on the banks of the Crocodile River in Aviant, on Muvhango's 2000th episode.